Lithuania, Latvia and Estonia have been NATO members for five years already. The West actively uses the three Baltic States to put pressure on Russia. The Baltic region may eventually become the arms depot located very close to Russia’s western borders. Latvia, Lithuania and Estonia, the three Baltic States, former Soviet Union republics, joined NATO in 2004. US army bases have not been deployed on the coast of the Baltic Sea, as Russian defense officials believed. The three countries did not sign the Conventional Arms Reduction Treaty in Europe, which allows to turn the territories of the three states into uncontrollable arms depots. The three countries became more expressive in their anti-Russian sentiments soon after they became the full-fledged members of the alliance. NATO headquarters believed that Latvia, Lithuania and Estonia would solve their problems with national minorities on their territories. They also believed that the membership in the alliance would help the countries finally establish normal relations with Russia. However, the Baltic States preserved their old complexes and continued to say that the policy of the Kremlin was unpredictable and dangerous. They hope that NATO would support them in case of conflicting situations with Russia. The alliance has changed its attitude towards Russia a lot lately. The three Baltic States have become a springboard for NATO’s eastward expansion. It is an open secret that NATO intends to grant its membership to Ukraine and Georgia, as well as to other former Soviet republics – Azerbaijan, Armenia and Moldavia. The Baltic States became the guardians of those countries to contribute to their reforms aimed at the integration into Euro-Atlantic organizations. Ukrainian and Georgian officers can undergo a military training in an Estonian defense college. It is not ruled out that the graduates of that educational institution took part in the recent war in the Caucasus, when Georgia attacked South Ossetia. One may say that the Baltic States play an important role in the North Atlantic bloc. Latvia, Lithuania and Estonia have a very good geographical location. The radar stations on their territories are capable of monitoring the central part of Russia. The alliance also uses the armed forces of the Baltic States: their military men serve in Iraq, in the Balkans and in Afghanistan. 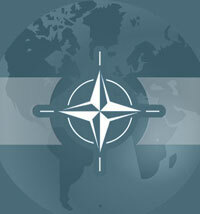 Poland , Hungary and the Czech Republic can be of much greater use to NATO, of course. Nevertheless, it is obvious that the Baltic States play the key role in the politics of the alliance as far as Russia’s interests on the post-Soviet space are concerned. Russia has come to terms with the NATO membership of the three Baltic countries in spite of the fact that there are many political and military problems to deal with at this point.